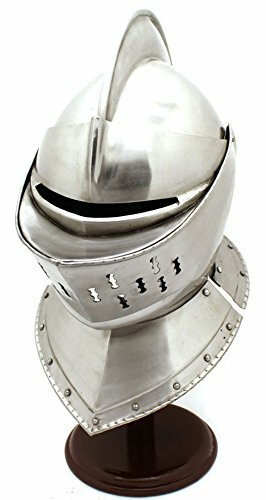 Medieval protection for the head used principally from the 11th to the beginning of the 14th century. 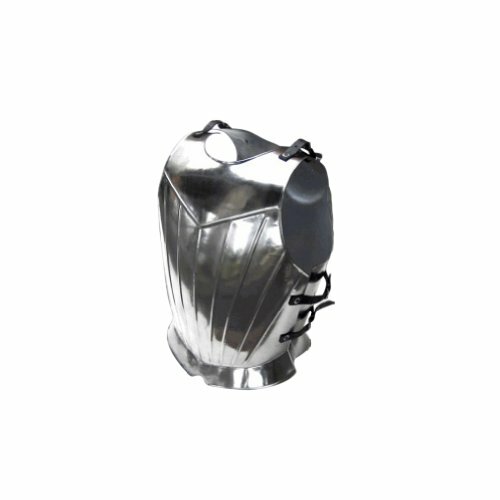 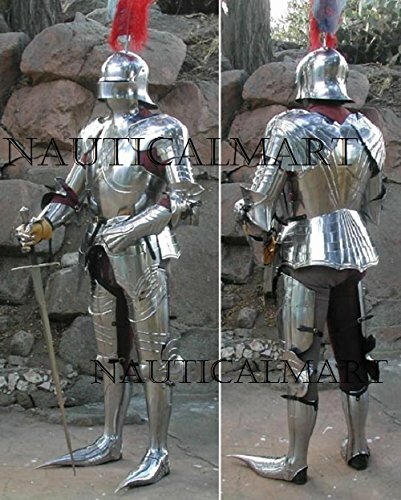 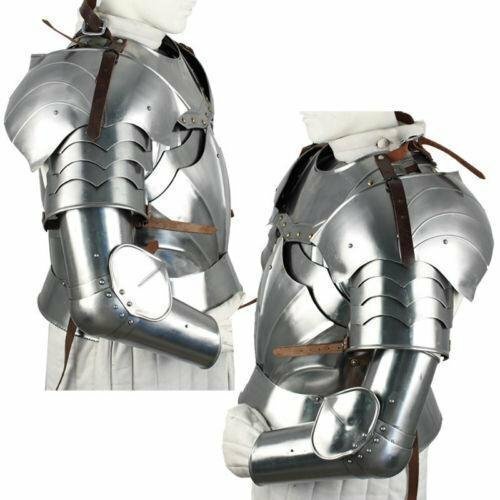 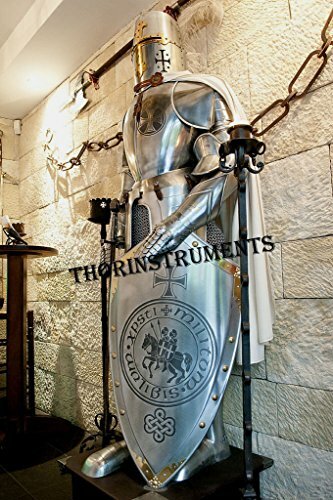 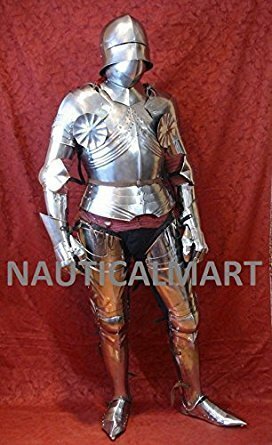 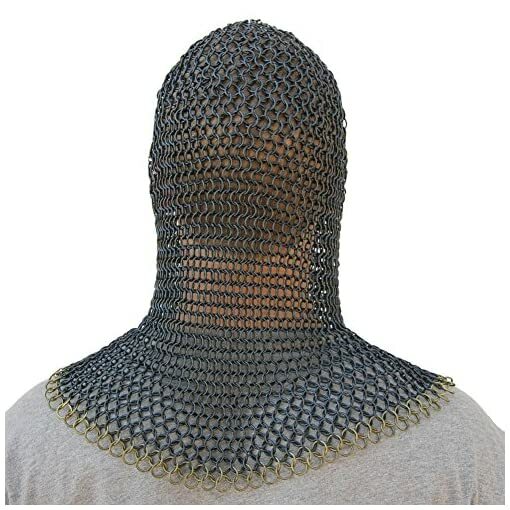 It consisted of a close fitting mail hood extending down to cover the neck and parts of the shoulders, once in a while attached to the hauberk. 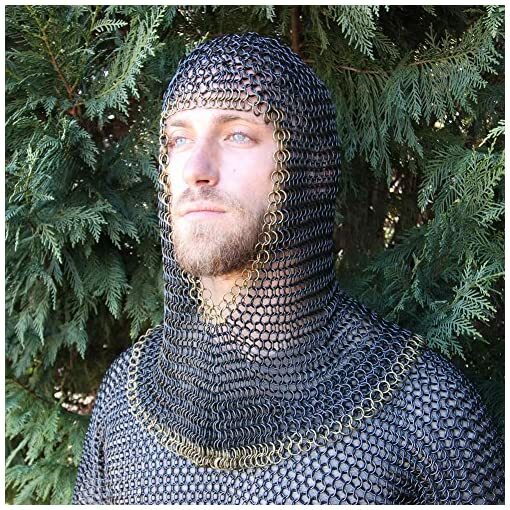 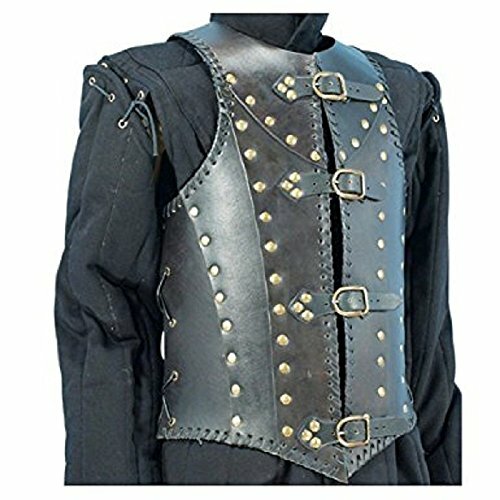 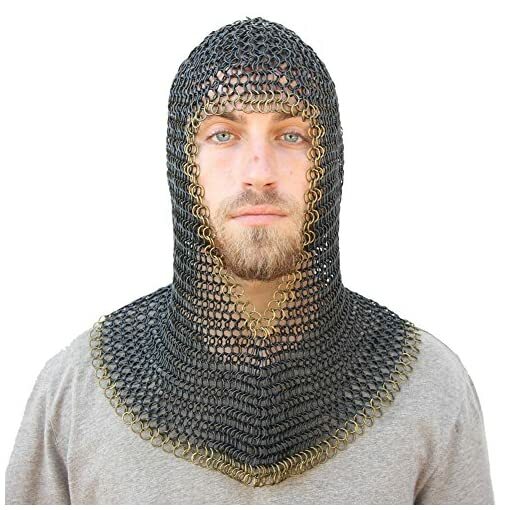 The mail coif was once made in the same manner on the mail hauberk or shirt. 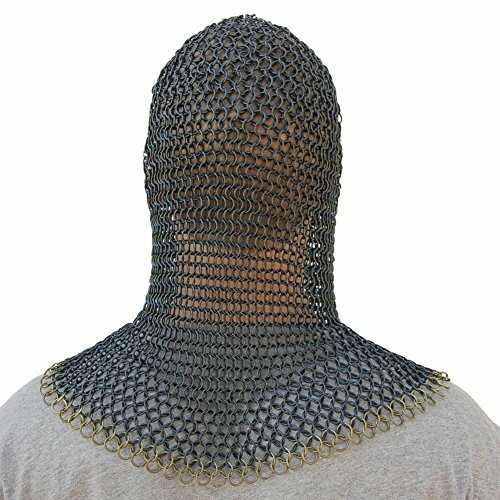 Regularly worn over a padded coif and under a helmet, on the other hand in a large number of medieval illuminated manuscripts knights and soldiers are shown with just the mail coif protecting the head. 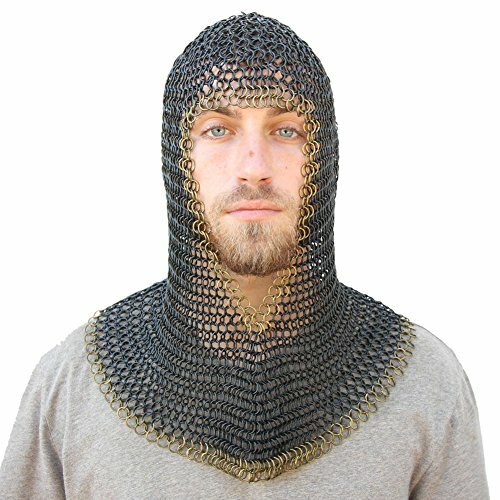 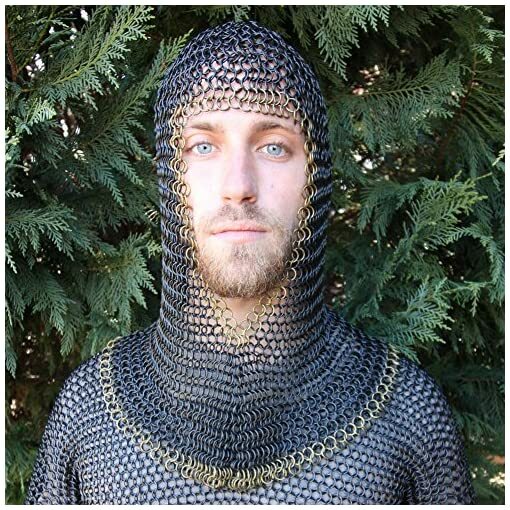 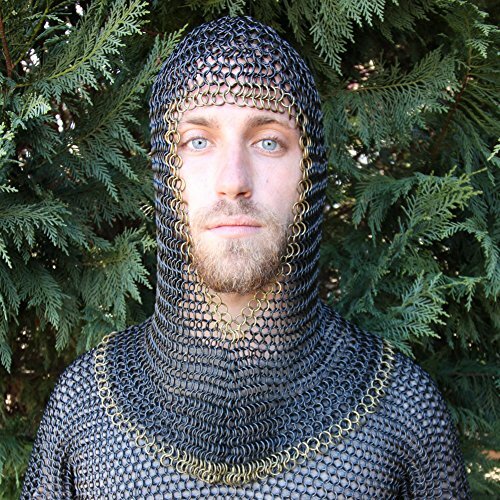 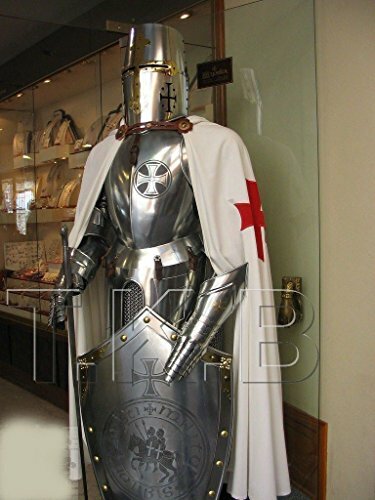 Our historically accurate mail coif is produced from high tensile wire. 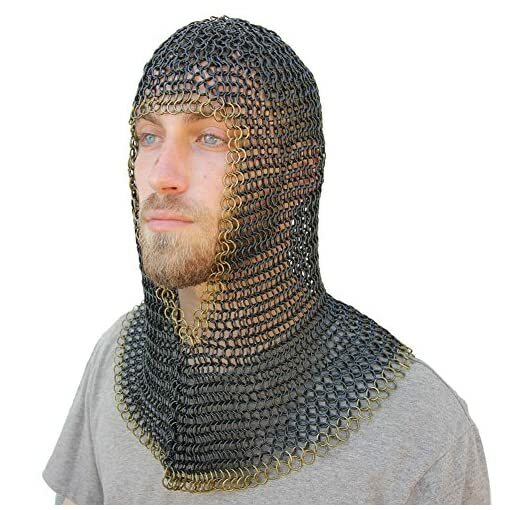 The coif is made the usage of the European 4 in 1 pattern of butted links. 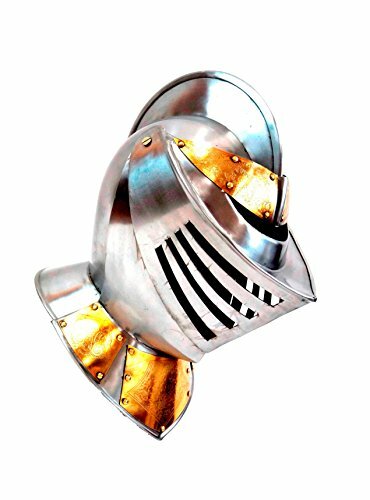 The mail coif could also be blackened to reduce rusting and has Brass row of links around the bottom for a touch of flair.